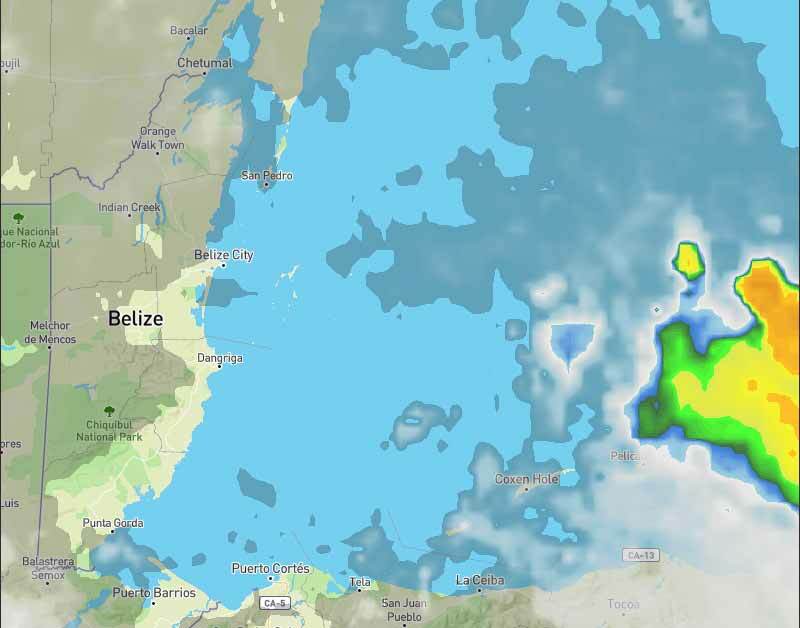 Belize NMS: Mainly fair and warm weather will continue with a slight increase in moisture over some areas today. 24-hour forecast: Sunny skies with some cloudy spells today and partly cloudy skies tonight. A few showers and isolated thunderstorms will occur mostly over northern and inland areas today, then becoming generally isolated tonight. General Outlook: For Monday and Monday night is for mainly fair and warm conditions with only isolated showers or thunderstorms developing. Today E 10-20 kts Choppy-Moderate 3-6 ft A FEW SHOWERS AND ISOLATED THUNDERSTORMS MOSTLY NORTH. Tonight E 10-20 kts Moderate-Rough 4-7 ft ISOLATED SHOWERS OR THUNDERSTORMS SOUTH. Outlook E-NE 10-20 kts Choppy-Moderate 3-6 ft ISOLATED SHOWERS OR THUNDERSTORMS. A tropical wave is moving across the central Caribbean. Recent scatterometer data depicted fresh to strong winds across the south-central Caribbean south of 14N between 72W-78W, while moderate to fresh trades prevail across the remainder of the basin S of 18N and E of 80W. Light to gentle winds are noted over the NW Caribbean. A surface ridge will remain north and northeast of the Caribbean and Tropical N Atlantic waters through the next few days. 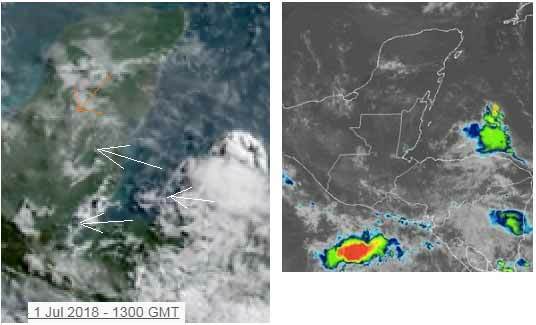 Fresh to strong winds across the south-central Caribbean will gradually diminish through Tue before strengthening again on Wed.
Convection continues to flare up over the SW Caribbean mainly in the vicinity of the monsoon trough, which is along Central America at this time. 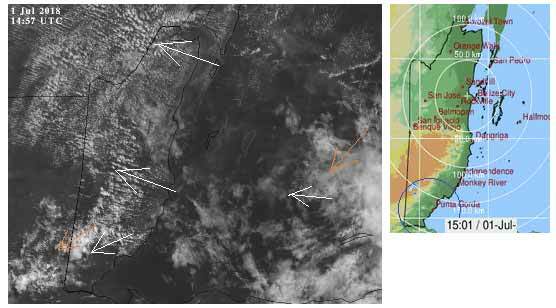 The upper-level low, currently over Cuba, will drift westward into the NW Caribbean over the weekend, and will continue to enhance convection across the basin. 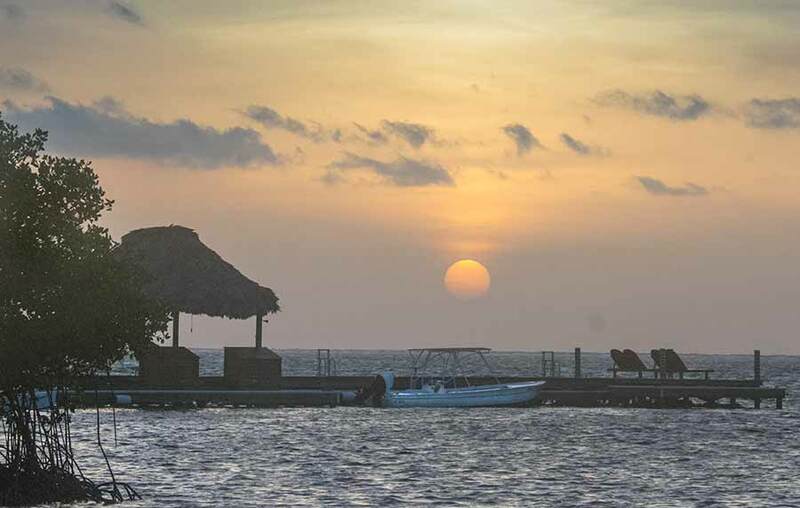 On Ambergris Caye this morning the wind is from the East at 8 mph with a clear sky, The expected high temperature today is 88 f.
There is significant chunky Caribbean clouds moving in over southern Belize and causing some rain in a few parts around PG. There is also a large area of cloud out in the Caribbean, which might bring in rain later today. The unusual high level cloud is from the NNE, the Sahara dust is also thinner today. Looks like a bit of a mixed day, rain patches in the south, sunshine in the north, white clouds developing later, some rain could also move in to some parts later.